I didn’t know that my favorite British import of the 1960’s was the Kinks until a few years ago. That’s actually quite a confession from a lifelong fan of the Beatles, the Rolling Stones and the Who, all of whom used to hold this very title. I daresay that these four groups basically defined my perception of that decade once I started paying attention to the radio in the following decade. Sure, there was Motown and the Beach Boys and other stuff, but the Brits really owned pop rock, didn’t they? Ever since, I have this picture in my head of a graph that charts my appreciation of each group across the years. Four colored lines weave up and down extending off to the right. Somehow, this portrays my musical sophistication, general mood about life, feelings about other people, emotional health, and overall intelligence. In an overarching sense, it probably also charts my insistence on reducing everything to math. 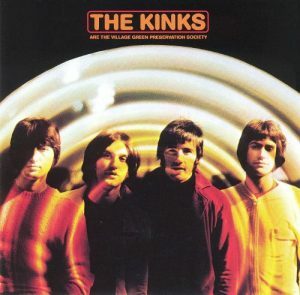 The introduction to the Kinks was always You Really Got Me, which was always heard within a couple hours of tuning the radio to a rock station in 1976. From there, the early singles came at you and worked their way into your brain. Then Lola came out and everyone loved the Kinks. Holy cow, that song was everywhere, which has to be one of the more inexplicable pop hits. I have been at parties where people sing along at the top of their lungs. They can’t possibly have listened all the way to the end. Ray Davies liked the name Lola. The good luck charm meant they burst through yet again with Give the People What They Want. I loved all of it, but it did feel like I really had gotten enough of the Kinks for awhile. Actually, that happened after they took over Top 40 radio in every public gathering place. I swear that I can’t separate Come Dancing from Everybody Have Fun Tonight in my memory. They’re really quite different, but both sort of drive me nuts. So, I took some time off from the Kinks. Somewhere along the way, I realized that the Kinks had made a lot more music in their early years than was generally available. They had problems of all sorts and something about the descriptions of that music intrigued me. Their double album greatest hits were owned by a few dorm mates in college, so I had heard some tunes that stuck with me and made me wonder what I had missed- what we had all missed- what those DJ’s who loved only the early rockers had missed. 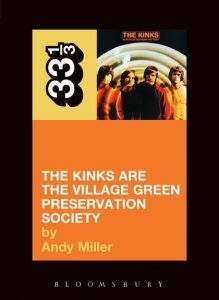 I never before listened to an album as repeatedly as Village Green Preservation Society, apologies to the Beatles, Stones and Who. I can’t explain it, but I’m not the only one. Clearly, that Kinks line on my graph has risen to new heights. And I recognize that an album about looking back on life and feeling a little lost was just waiting for me to discover it. That doesn’t bother me. It just leaves me fascinated, wondering what the future holds in the way of discoveries. You’ve Got to Check This Out is a blog series about music, words, and all sorts of artistic matters. It started with an explanation. 38 more to go.